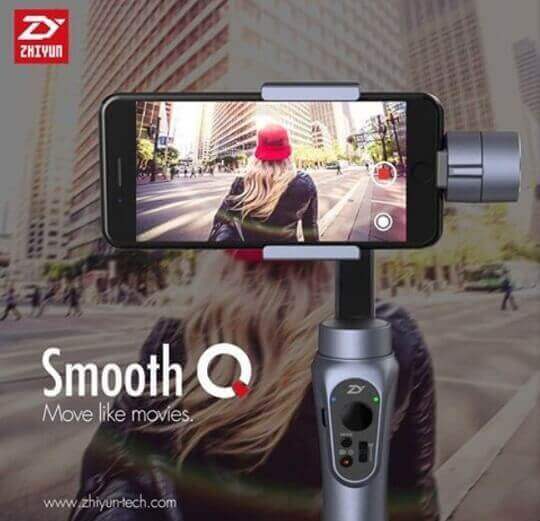 A few days after Guilin Zhishen Information Technology Co., Ltd., or Zhiyun announced the international pricing of their latest smartphone gimbal, the Smooth-Q, official local distributor ZiestaPH, also unveiled its price in the Philippines, together with its availability. The Zhiyun Smooth Q, dubbed as the Osmo Mobile killer, can be yours for Php9,495 when it arrives in the country around 2nd week of April or earlier. But, if you will pre-order it until March 24, you get an additional 500 pesos off, bringing down the price to just Php8,995. All you have to do is visit https://form.jotform.me/70740363688463 to place your order. Every purchase comes with 1 year warranty, service and parts included! For more information, visit Zhiyun-Tech Philippines Facebook Page!